Every Heroine deserves her happily ever after - bring her fairytale to life with this beautiful engagement ring. This engagement ring comes accented with natural recycled diamonds in a halo around the center stone and down the shank. Starting price is for setting only. This ring matches perfectly with the Heroine Wedding Band; purchase the wedding set for a discount off the band. We recommend trying a band on either side of this engagement ring! Jack G. Reviewed by Jack G.
I am so glad I found this site. Miadonna is an incredible resource for someone who wants an ethically sourced, affordable, gorgeous ring for the woman I love. 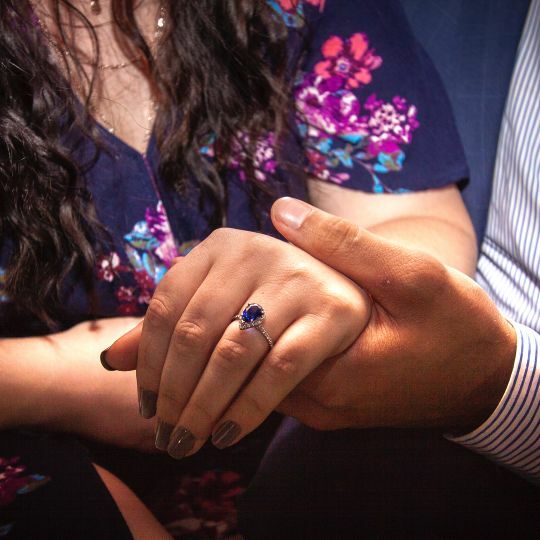 Everyone has been incredibly complimentary of the ring I chose (Heroine setting, sapphire 2.85 carat center stone, palladium ring), and I love seeing how happy she is. Can't wait to spend the rest of my life with her wearing this ring! 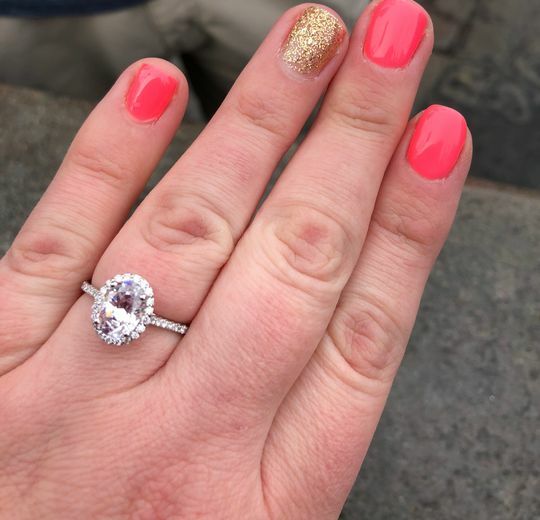 We did a lot of research and looked at a lot of rings in person and online, but the customer service with Mia Donna was so great that I was absolutley set on the ring coming from them. Multiple employees chatted with me online and were prompt in answering every question I had. We were completely comfortable buying the ring sight unseen because the service was so great. The ring far surpassed all expectations. I will definitely be purchasing more jewelry from MiaDonna.